One of the best things about reading a good book is reading it with friends and sharing your favorite moments and thoughts about it. 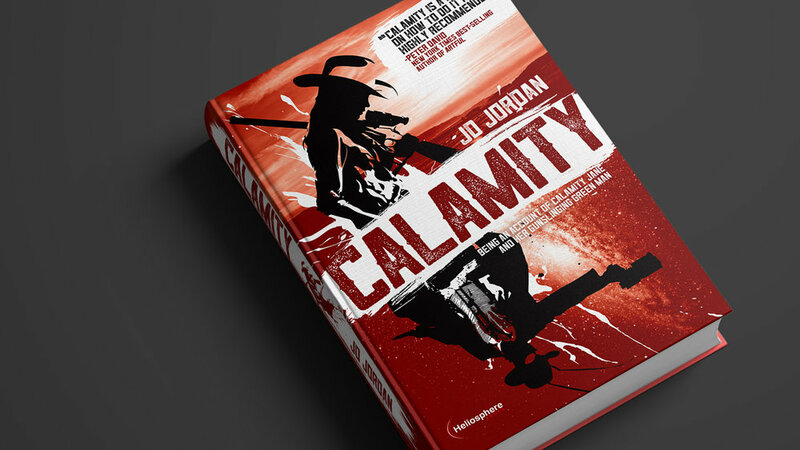 I love book clubs and I'd love to help make Calamity a part of yours! 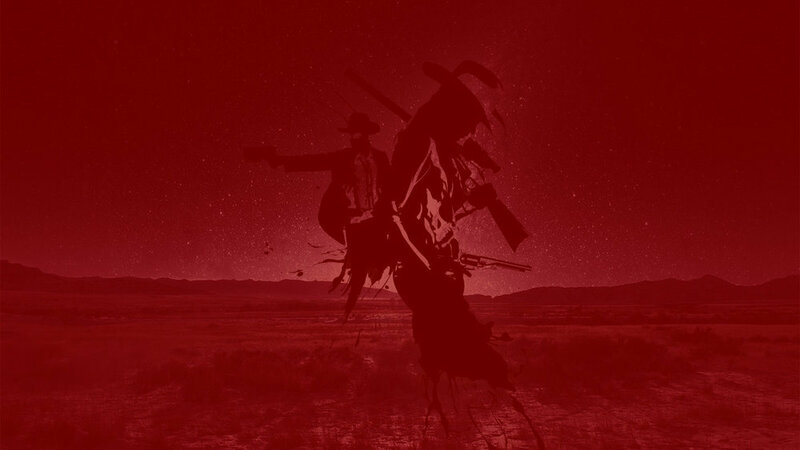 Below, find discussion questions, a Spotify playlist of songs that inspired the novel, author insights—including some suggested readings and viewings—and media assets designed to enhance your group’s discussion of Calamity: Being an Account of Calamity Jane and Her Gunslinging Green Man. And if you'd like to schedule a Skype or FaceTime, contact me and let's see if we can make it a date. Jane’s weird west is very different from Laura Ingalls Wilder’s life on the praire. What must it have been like to be a woman in the Wild West? At what point does Martha really become Jane? How does the Green Man enable Jane to grow into the woman she becomes? Westerns are full of great one-liners. Do you have a favorite quote from Jane or the Green Man? The relationship between the Greens and the Grays is never fully explained. What do you think is going on between them? Who would play Calamity Jane or the Green Man in a Calamity movie? What happens after the last page? What’s next for Jane? How might the Boone and the Hickok families have remembered Calamity Jane and the Green Man differently? What is Mar going to do with the disc now? Your book club might enjoy listening to some of the music that inspired the writing of Calamity while you discuss the book. How did you get the idea for Calamity? I was sitting on the steps of the Metro Atlanta Chamber of Commerce after a party, waiting for the valet, when the ideas for two historical scifi books popped into my head. One of those became the novella Seeing the Elephant that ultimately grew into the novel Calamity. I remember bouncing ideas off my friends and it took a while for the story—as you read it—to take shape. But it was always about growth and coming of age in the West, in the aftermath of the Civil War, on the frontier of American civilization. At the time, I was deep into both HBO’s Deadwood and Fox’s Firefly and their influences are unmistakable in Calamity. If you don’t know what I mean, go watch the first few episodes of Deadwood, especially “Here Was a Man” and "The Trial of Jack McCall"—Robin Weigert's was the first Calamity Jane I ever really knew—and the Firefly episodes “Out of Gas” and “Objects in Space”—hints of the scifi-west and the Green Man can be found there. I was so intrigued by Calamity Jane as a historical figure—an iconic woman in a man’s world—and as a transformative character. I fell in love with the potential of her right away. As a man writing a woman, how did you tap into the female psyche? I’ve had a number of readers comment about how well-written they think Jane is as a teenager and as a woman—especially when they know she was written by a man. I even had an agent express surprise on meeting me because she assumed I’d be a woman based on what she’d read of chapter one. Such amazing compliments! I like to tell people I was neither a teenage girl nor very successful with them when I was young, so I reckon I’m just as surprised as that agent was. But I think I was able to write her as well as I was not because I was tapping into anything uniquely female (my wife disagrees on this point) but because I was able to tap into Jane's frustration, her feelings of abandonment and ostracization, her loneliness, and—of course—her anger. 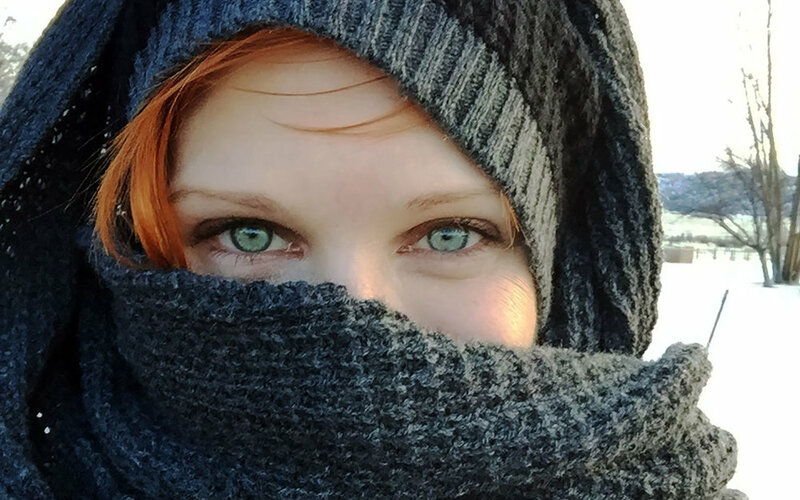 I was in a lonely and angry place when I wrote her—though I didn't appreciate it at the time—and writing her always felt more like commiseration than pretending. I think to some degree, we’ve all been Martha wanting to become Jane. I sure was. Were you always a fan of westerns and science fiction stories? Scifi, yes. If it had spaceships and lasers in it, I was there. I grew up on delicious doses of Battlestar Galactica, Buck Rogers, Flash Gordon, Star Trek, and so much Star Wars I wanted to name my second son Han. I read every Arthur C. Clarke, Robert Heinlein, Douglas Adams, and Frank Herbert book I could get my hands on. But westerns? No. I was a child of the 80s and I chaffed under the western genre’s dominance of Sunday afternoon TV. I liked some, to be sure. I went through a strong Young Guns phase and I've loved the Lonesome Dove miniseries since I was first introduced to it in college. But I had to very intentionally research westerns for Calamity. I surveyed friends and film buffs looking for the very best titles. I even made multiple trips to the Booth Western Art Museum to immerse myself in the western aesthetic. And this is where I began to see what these two genres have in common. It's not just that Star Wars or Mad Max are honest-to-god westerns (which they totally are). It's also that westerns and scifi are so thematically and narratively similar. Consider John Ford’s Stagecoach and Ridley Scott’s Alien: These are both stories about survival on the frontier, against a cruel and savage Other (Indians or xenomorphs, respectively). Everyone in these ensemble casts is in real peril. And if we 21st century viewers can suspend our disbelief and forget what stars John Wayne and Sigourney Weaver became after these films, you can feel some of that genuine uncertainly and tension these films would’ve created upon their first screenings in 1939 or 1979. So if you weren't into westerns before, what drew you to combine these genres in Calamity? The fancy literary answer would be something like: A lot of the appeal for this kind of mash-up comes from the fact that these are both fundamentally American and fundamentally modern genres. Westerns are the product of America colonization of the continent—and all the good and the bad that goes with ideas of frontier and Manifest Destiny and conquest in that history. Scifi, on the other hand, turns many of these themes around, looking forward while always metaphorically looking back. Where settlers drove out the natives in the 1800s, so will we—the beneficiaries of that conquest—face threats of extermination in the future. The settlers have become the first peoples in jeopardy and the idea of the Green Men and the Gray Men as Others who can menace the West in this way is an interesting one. And one that preys on our fears of annihilation. But the more basic answer is that Jane and the Green Man insisted on these genres. A prospective agent once asked me to remove the Green Man from the story and I just couldn’t see how it would work. It suddenly wasn’t anything I wanted to read. The Green Man is Jane's magic feather. He’s her Man with No Name. His alienness is so integral to her view of the world—even when he’s not around or when he's the only scifi thing in the story—that the western part of the novel would’ve been diminished without the science fiction. The West is a big and well-known setting. How did you select Wyoming? What research did you do for the locations, setting, and so forth? 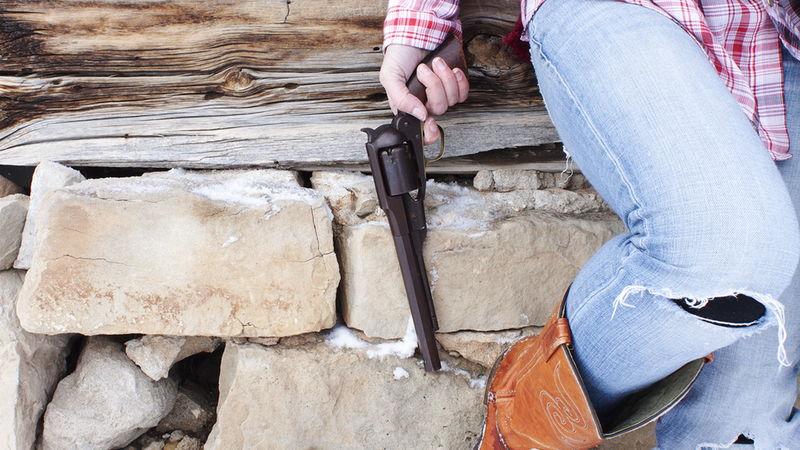 Once I knew Calamity Jane was my heroine, I began reading as much about her as I could. I was Masters of History student at UGA and fully in research mode so I turned to the sources. But the literature on Jane before she rode into history was thin. I can’t remember if it was John Jennewein’s Calamity Jane of The Western Trails or Glenn Clairmonte’s Calamity Was The Name for Jane that helped me so much—I’ll have to go back up to the stacks and feel these old out-of-print books in my hands to know for sure—but what little there was written about young Calamity Jane was largely unfootnoted and historiographically suspicious. But her journey to Salt Lake, the fates of her parents and siblings, even Somers and his ill-named wife were all there. As was Piedmont, Wyoming, where our story begins. It was so exciting to see a picture of her as a teenager—really, a young woman in the 1860s sense of womanhood—working on the rails and as a ranch hand, totally ignored by history until she reemerged as a scout for Custer years later. As for Wyoming, history put her there. I just moved her around. I’m a Georgia boy and had never been out to that part of the country. So I used Google Earth to fly all over the state, starting with Piedmont and its amazing ghost town and working my way from landmark to landmark as Jane and the Green Man told me to. 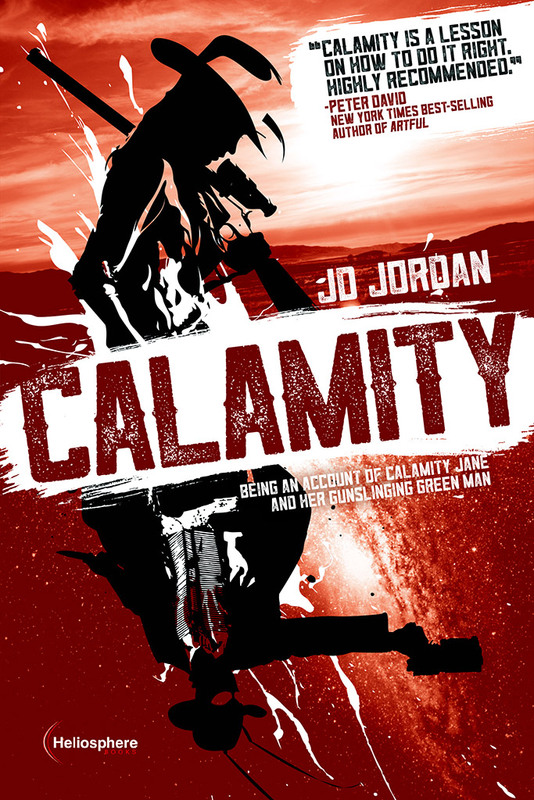 I didn’t get out there for myself until Christmas of 2015, when Calamity was already in the works for publication. You can see photos from that trip in the companion story “Courting Calamity”. It's an absolutely amazing part of the country. A whole other world compared to the South. Or all the East. I see why folks went west. How long did your book take to write? To get published? Calamity lived in me for a long time before I started writing it. Jane had to simmer for four to five years before she first spilled out on the page. And when she did, her voice was totally wrong. The focus of the story was, too. I rewrote the first chapter many times to try and get the feel right. Once I got it, though, I wrote every Saturday for six months to complete part one, Seeing the Elephant. Then I took a year off—my first son was born and I was plenty busy! But when I returned to Jane’s weird west, it only took six months of Saturdays to complete, parts two and three. Well, the first drafts anyway. In regards to publishing, it took me a long time to find the right agent. A lot of folks forget that the act of writing is far from the whole business of authorship—it's just step one. And I was committed to not self-publishing. Stubborn about it, really. I wanted an audience for my book but I also wanted a good agent and a good editor to help me get the best possible product out on the bookstore shelves. It took a few years to find Andy Zack and his team but they were passionate about the book and really helped me make sense of this whole publishing world I was dipping my toes into. And I’m so glad for their help! We got a lot of rejections from the big publishers—really quite flattering rejections, too—before moving forward under Heliosphere’s independent imprint. But once that happened, we were nine months from contract to bookshelf. Were there any parts of the editing process where you didn't want to make a change or where you butted heads with the editor? I had a really good experience with both my agent, Andy Zack, and the editor for Heliosphere. And a big part of that was they didn’t come back with any sweeping changes. Originally, Calamity's dialectic narration embraced vernacular spellings as well—sumpt’n instead of something, goin’ instead of going, that sort of thing. That had to go. Jane’s voice was rich and accented enough without intentional misspelling that might’ve taken the reader out of the story. There were also elements of foreshadowing in the earlier drafts that had to be removed. Jane’s perspective as a narrator many years after the fact was liberating as a writer because it allowed for good foreshadowing but overused, those meta-references were sometimes too much. I think the only edit I chaffed under regarded a scene late in the book—so very late I can’t say much about it—where a decisive action by Jane was left intentionally vague. Not so vague as the action at the end of Cormac McCarthy’s Blood Meridian, but vague nonetheless. I really enjoyed how some readers would interpret the action one way and some readers the other. But the scene warranted more clarity. I wonder if you can guess which scene I'm referring to? We found a happy compromise wherein Andy was satisfied and I felt my readers would still be left with the freedom to wonder. And what about the cover? You designed that yourself? I’m a designer by trade so, yes, I retained control of the cover in my publishing contract. A lot of authors don’t see their covers until their copies arrive in the mail or until they see the books on bookstore shelves. And I’m sure my publisher thought they’d save time and money by having the author do the work. But I was probably more of a headache for them than any online-sourced graphic designer or professional cover artist would’ve been. I treated my own cover design just like I would a client project. I did a market analysis, looking at Kindle, iBook, and New York Times bestsellers, book cover award winners, western and scifi movie posters, and even video game jackets. I then tested design concepts and titles with users to see if the themes and genres I was going for were well communicated. I heard folks describe the result as being like a Tarantino poster, or reminding them of Red Dead Redemption. And I’m fine with that. My editor didn’t dig the cover at first. He said it didn’t look like any other westerns or scifi titles he’d seen—and I didn’t want it to—but he trusted me. And when saw the book for the first time on the shelf at Barnes and Noble, I texted him and thanked him for working out the B&N distribution. He told me he hadn’t—they just liked the cover. #dropmic.